In addition, Allen holds the distinguished Short Sale and Foreclosure Resource designation (SFR). This gives him the knowledge and necessary experience to assist you as a seller with pre-foreclosure sale procedures. As a buyer of a short sale property, Allen will assist you in successfully completing a short sale or foreclosure purchase. Allen is a registered US Department of Housing and Urban Development (HUD) broker. This gives him the authority, knowledge, and experience to assist buyers in successfully bidding on and purchasing HUD properties. 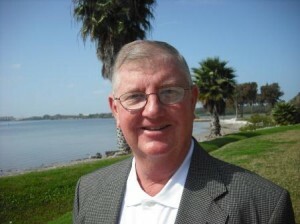 Allen is a 15 year member of the Pinellas Realtor Organization (PRO) where he continues to enhance his real estate expertise by attending seminars and educational classes and programs. He is a member of the Florida Association of Realtors and the National Association of Realtors. Allen is a member of the Alleghany Highland Association of Realtors and the Pennsylvania Association of Realtors. In 2005 and 2006, Allen was Tampa Bay’s highest dollar volume selling Realtor. He is a member of the Knights of Columbus.